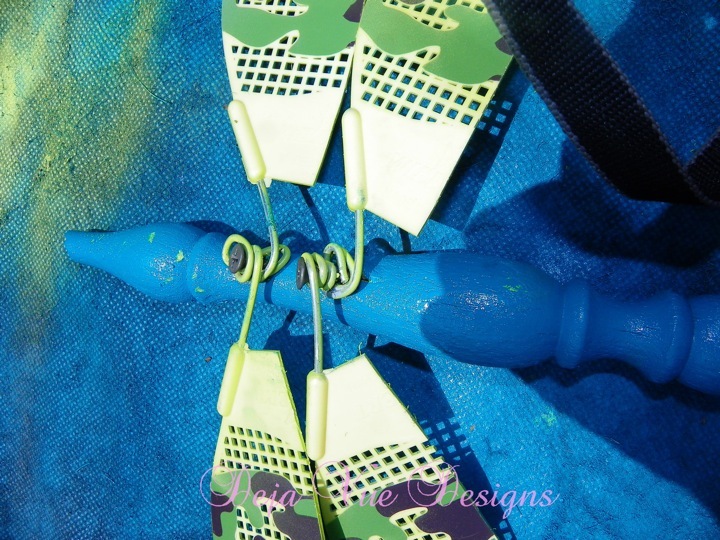 Today…a short tutorial on my small dragonfly/ bug from a flyswatter. 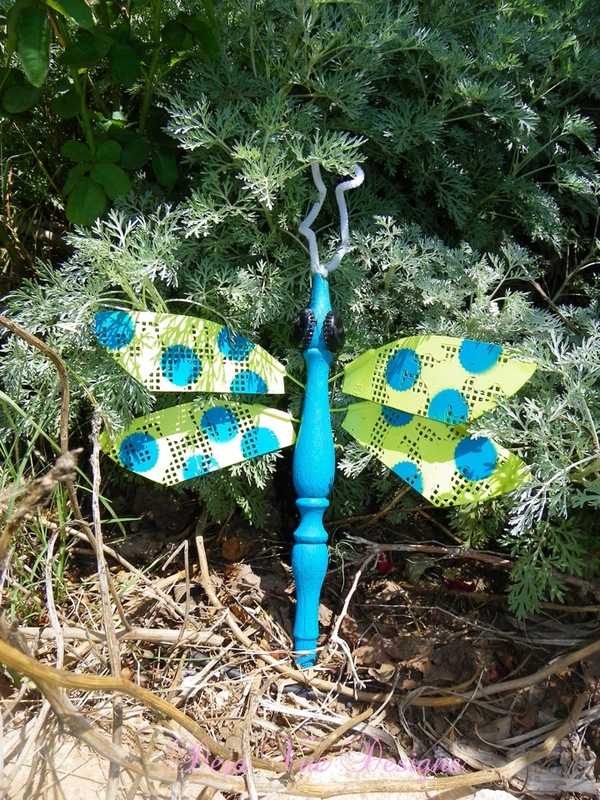 These are EVERY bit as popular as the large….table leg/ceiling fan blade dragaonfly version. I’ve already had more orders for these…than I have in two months with their larger cousin! 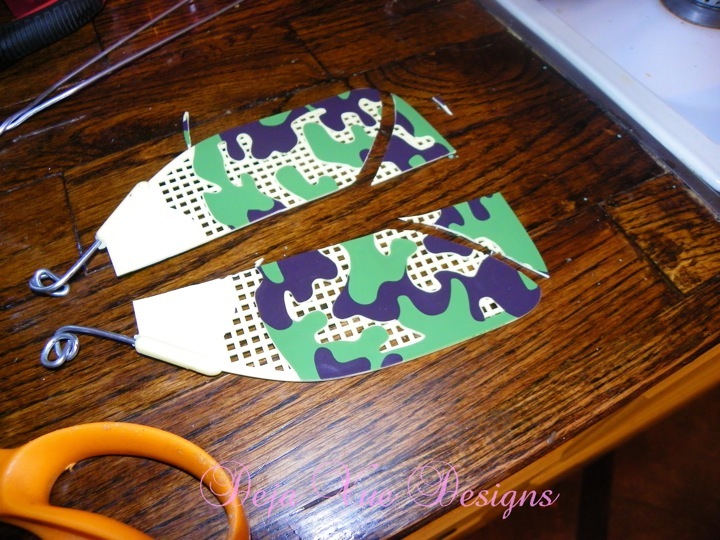 These are simple to make…and in a way….easier than the larger…because you don’t have to wait for a torn up ceiling fan to “happen”! 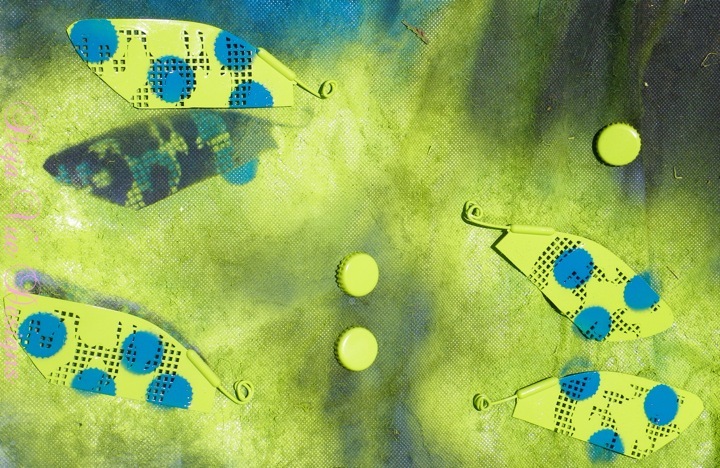 And if you DON’T use recycled stuff…you can EASILY get this stuff at the hardware store! Just take a chair leg…or table leg of your choosing….or even a small spindle paint it however you like….mine came with the large screw in the end…we just unscrewed that…and the hole it left is PERFECT to take a pipe cleaner folded in half and stick in there for antennas. The eyes on this one are easier too…because EVERYONE has or can get bottle caps….they can even be found at the hobby store these days. I just painted mine black and ran a screw through the middle for eyes. The wings….believe it or not….I found painted just like they are! Can anyone guess? YEP!!! 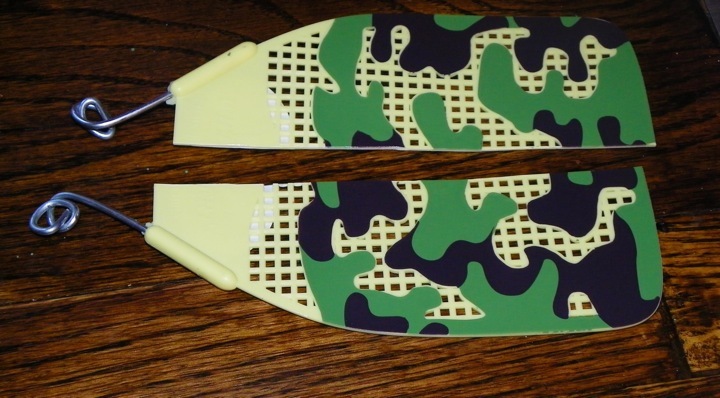 a fly swatter cut in half and curved a little! You’ll need two swatters for each bug. Another one of those ideas that just happened in my head. 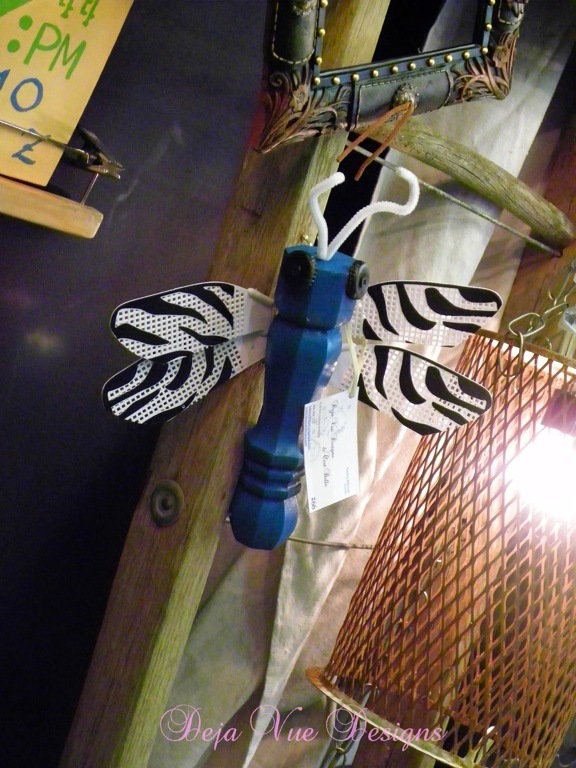 A friend was asking what I would do with some small spindles/chair legs…and for some reason….this just popped into my head….and the next day I found these zebra striped fly swatters. Now who doesn’t like zebra stripes? I’m loving these in all shapes, sizes and colors. They are SOOOOO cute hanging about outside. I think this little bug from a flyswatter, would even be cute inside!!! 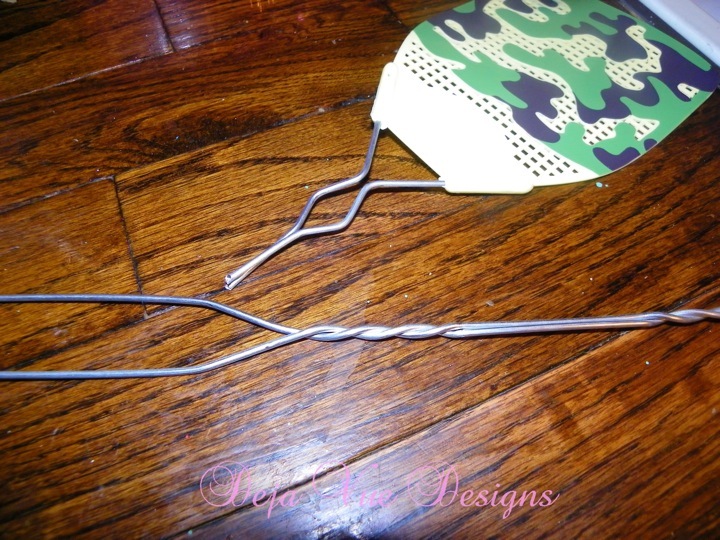 I used pliers to cut the fly swatter right before the first set of twists….that way you still have enough wire to twist around a screw for attaching. 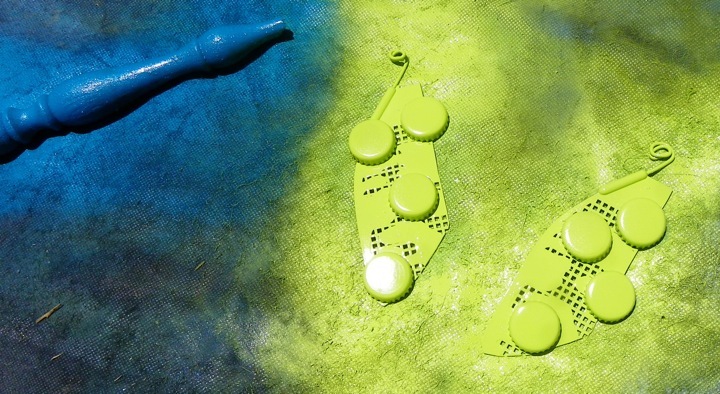 Then if you’re gonna paint them…do that now. Cheryl L. This is one of yours! Thanks!….Thank you so much for hosting!